Autumn is just around the corner, as the leaves are falling and the jewel toned red and oranges inspire another color scheme and design. We would like to share our wedding from this July in Washington State. 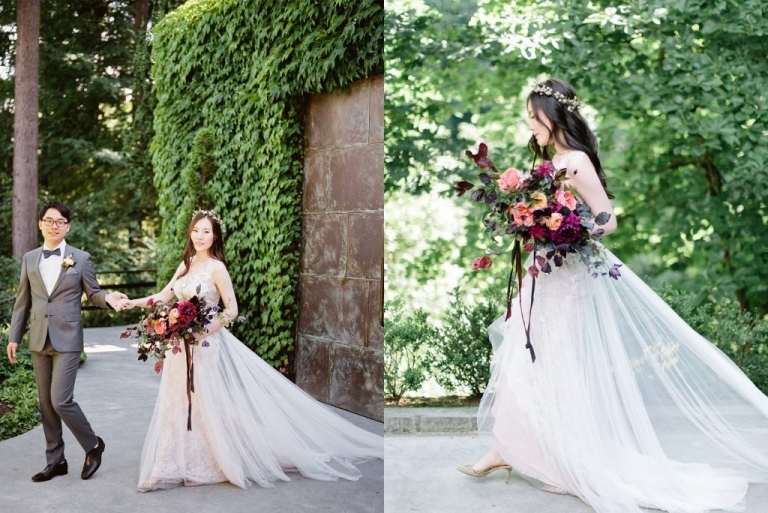 This Seattle bride was in love with the autumn color scheme and wanted a theme that spoke well to nature. From the natural greenery around the event space to the geode place cards, every single detail is carefully thought up and integrated full circle. 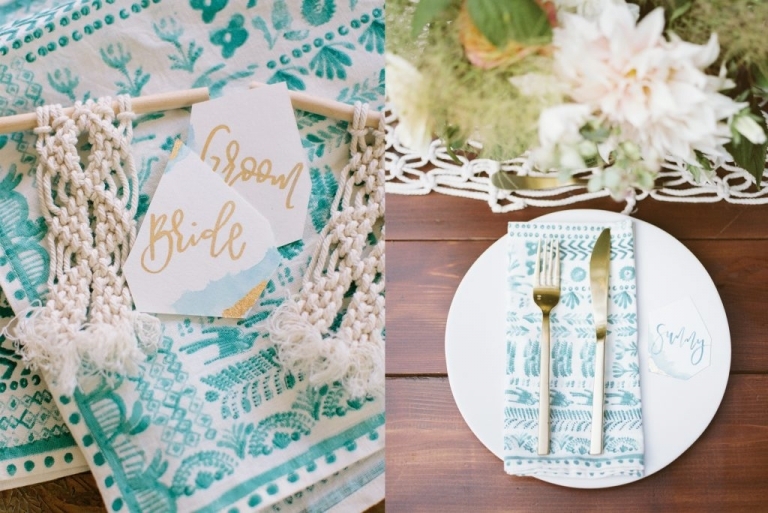 The bohemian natural look can be found everywhere in the event space, from the furniture selected to the napkins. 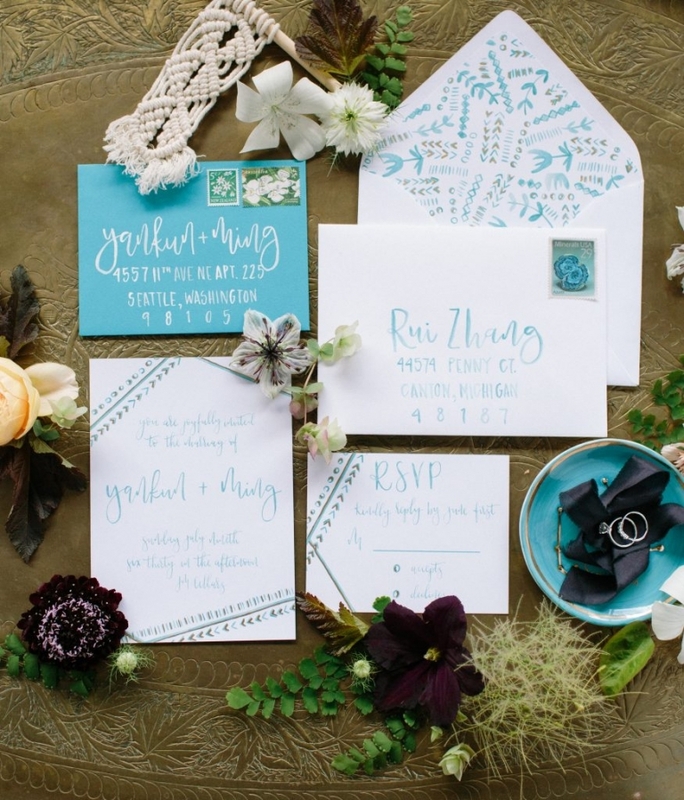 Even with the beautiful jewel tones, the couple wanted to incorporate their “something blue” into the decor and space, using it in the details. The bridesmaid dresses also tied in the elements of blue and bohemian woven style with their unique twist on the bridesmaid bouquets. 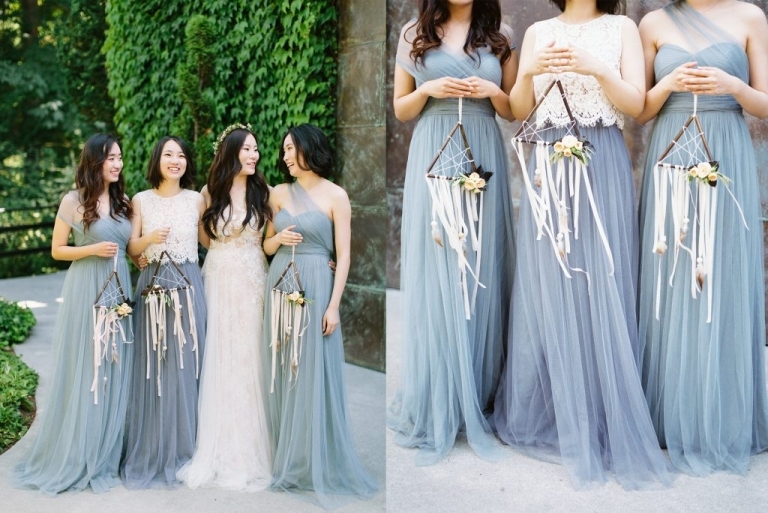 These dreamcatcher bouquets are also easy to hold and flow along with the chiffon dresses. The autumn jewel tones is a staple and becoming more and more popular among brides recently, leaving the rustic style for something more natural and romantic. Thatch Florals did a wonderful job decorating the arbor with hanging florals that with the macrame backdrop, tying in the woven natural lines. The banquet space used lighter colors with a few flowers of the jewel tones to pop out more. Check our more of the designs and details. We’re featured on 100 Layer Cake. It was such an honor and we are very excited for the opportunity to share our designs with the bridal community. We were so lucky to have such a dedicated and solid team and we always appreciate all the vendors who take their time to work, communicate, and cooperate with us.